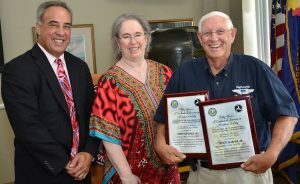 Three members of the Commemorative Air Force Dixie Wing recently received the Wright Brothers’ Master Award from the Federal Aviation Authority (FAA), recognizing more than 50 years of piloting aircraft safely. The prestigious awards were presented to Charlie Austin of Peachtree City, Rik Carlson of Sandy Springs, and Truitt Harper of Hiram. Harper is only the fourth pilot in Georgia history to also receive the FAA’s Charles Taylor Master Mechanic award. FAA FAASTeam Manager Mike Mullaney and FAASTeam Program Manager Roger Williams presented the awards during the Dixie Wing’s monthly member meeting at the Wing headquarters. Atlanta FSDO Office Manager Roberto Gonzalez also participated. The Wright Brothers’ Master Pilot Award is widely considered the most prestigious award the FAA presents to pilots, specifically recognizing senior aviators who, as safety-minded professionals, have contributed more than 50 years to piloting aircraft. It is named after brothers Orville and Wilbur Wright, the designers, builders and pilots of the world’s first powered airplane – the Wright Flyer that first flew at Kitty Hawk, N.C., on Dec. 17, 1903. 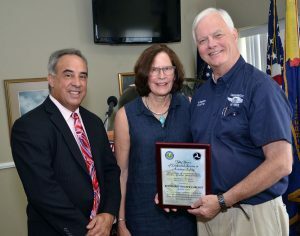 “Their dedicated service, steadfast professionalism and technical expertise in the field of aviation safety are invaluable to furthering the mission and goals of the FAA,” Mullaney said. 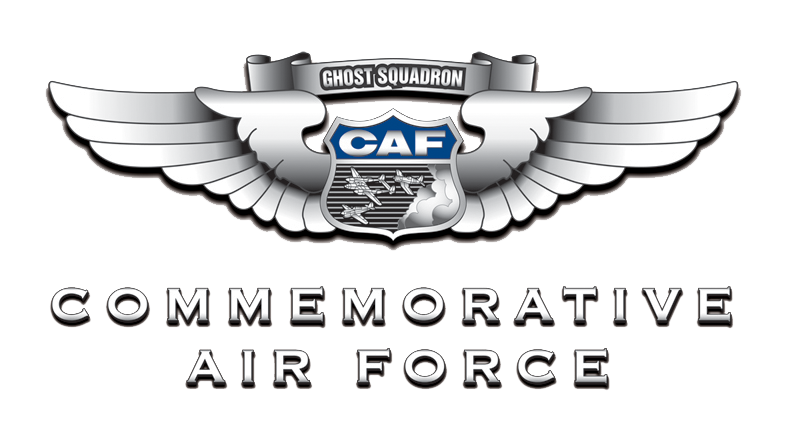 Each pilot received a certificate, gold lapel pin and an official copy of his airman records as maintained by the Airmen Records & Certification branch in Oklahoma City, Okla. Also, all three names will be recorded in the Aviation Safety Roll of Honor at the FAA headquarters in Washington, D.C. (numbers 130-132). The prestigious Charles Taylor award is named in honor of the first aviation mechanic in powered flight. He was the first true aviation mechanic, working with the Wright brothers on their first successful powered flight. The award recognizes individuals who have exhibited professionalism, skill, and aviation expertise for at least 50 years in the aircraft maintenance profession, as “master mechanics.” This award recognizes and celebrates the lifetime accomplishments of senior mechanics and aviation repairmen. “It is understandably rare indeed, in fact – for only the fourth time in Georgia – we recognize an airman who readily qualified for both awards through simultaneous distinguished service in both capacities,” Mullaney said. Lt. Col. William Charles Austin, USAF Ret. – Austin began taking flying lessons as a teenager in his native state of Florida, achieving his first solo flight in March 1966. He earned a bachelor’s degree in economics from the University of South Florida, after which he enlisted in the U.S. Navy and served on a destroyer, the USS Pierce. In 1973 he was accepted to the U.S. Air Force flight school, earning his silver wings in 1974 with orders to a Boeing B-52G Stratofortress squadron near Spokane, Wash. His 24-year Air Force career involved numerous duties, including program development and training for allied Middle East pilots in the T-37 jet trainer and an exchange tour with the Royal Air Force in England flying the BAC Jet Provost Mk-5. He went on to Shepard AFB with the Euro-NATO Joint Jet Pilot Training Program and Berlin, Germany as US Army Special Operations pilot. He also was posted to NATO’s AWACs, qualifying as command pilot in the Boeing E-3 Sentry and VIP-707 aircraft commander. His career included positions as Squadron Commander, Chief/Operations and Plans, Aircrew Emergency Training and Chief/Operations and Plans. He followed his military career with positions as executive vice president for sales and marketing with Sonic Communications, Ltd., and pilot with NetJets, where he achieved type ratings in the Citation 500, 650-XLS, the Dassault Falcon Jet 2000, Gulfstream IV and Bombardier Challenger 350. He served as co-founder of the NJA Safety Committee and co-chair of their pilot professional standards committee. He amassed more than 16,600 hours of accident/incident-free flight hours during his flying career. Reinhardt W. “Rik” Carlson – Carlson’s aviation involvement began with a flying lesson at age 11 in northwest Indiana. He soloed at age 16 and graduated from Purdue University’s Professional Pilot Program in 1973 with a commercial pilot license and other ratings, and also receiving his A&P certificate. He joined Rockwell International in St. Louis, Mo., as a tech rep on the Saberliner, but moved on to Zantop Airlines to fly DC-6 freighters for a short time. He took a position at Beech Aircraft Corp. in Wichita, Kan., for 11 years, flying new aircraft around the country. His next post was with the Future Aviation Professionals of America, handling AMT seminars. Carlson then signed on with TWA as an L-1011 flight engineer, moving on to pilot the DC-9 and the Boeing 717. After American Airlines acquired TWA, Carlson shifted to AirTran and its 717s, with a short time in Southwest 737s before his retirement in 2016. Now he is finishing training with the FAA as an Aviation Safety Inspector. He has amassed more than 14,300 hours of accident/incident-free flight hours. Truitt Harper, Jr. – Harper is a native of Georgia who began his aviation experience at age 15, but soloed at age 23 while a senior at Georgia Tech. With a degree in aerospace engineering, he became a test engineer with Lockheed Georgia of Marietta, Ga., performing testing of the environmental control system and APU for the Air Force C-5A Galaxy. He added fatigue testing for other C-5A components and completed his private pilot’s license, quickly adding commercial and multi-engine ratings. He left Lockheed for Christian aviation ministry with his wife, Joy, through the Soudan Interior Mission in Ethiopia. Upon returning home to Kentucky, Harper studied for his airframe and powerplant AMT certificate at Moody Bible Aviation Institute in 1974. He worked two more years in East Africa as pilot and mechanic for Mission Aviation Fellowship, which has flown more than two million nautical miles supporting about 600 Christian and humanitarian organizations. Harper returned to the United States and joined Academy Airlines at Tara Field, Griffin, Ga. He started as an A&P but upgraded to captain on their DC-3s. By 1980 he returned to Lockheed for test work, moving up to composite evaluation and quality assurance management, working with the Gulfstream III, V-22 Osprey, F-117 Nighthawk and F-22 Raptor. He also served 14 years as chief pilot for the large Lockheed Georgia Flying Club. He has served many years as pilot, mechanic, crew chief and check pilot for the CAF Dixie Wing, and has more than 7,500 flight hours.